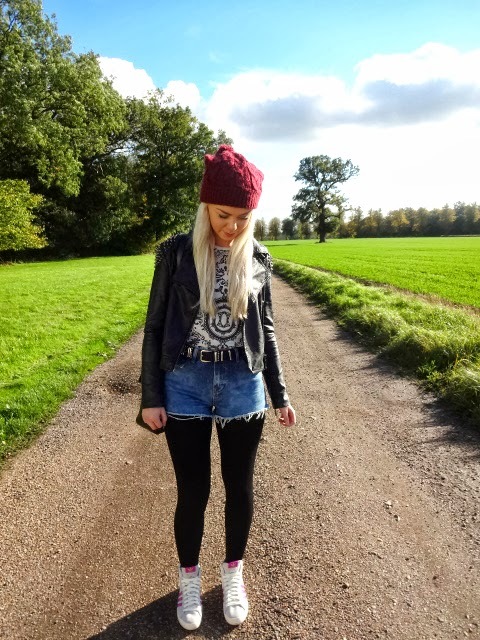 I thought I would do a super quick outfit post whilst i'm waiting for my friends to arrive for a nice night in! Today was a big lazy day, getting up at 11:30 and going to asda was the extent of todays exercise. 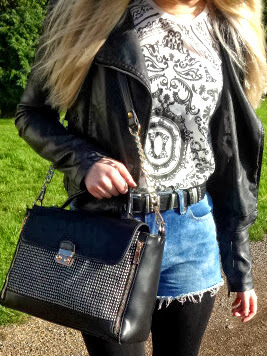 However, I did take advantage of having my friend over and took lots of photos outside for an upcoming blog post... I must invest in a tripod! I wanted to throw on something fairly comfortable but i've been getting SO fed up of jeans and leggings lately so I put on these high waist shorts with super thick tights. They have a fleece lining how amazing is that and they're like £3 from Primark. Bargain. 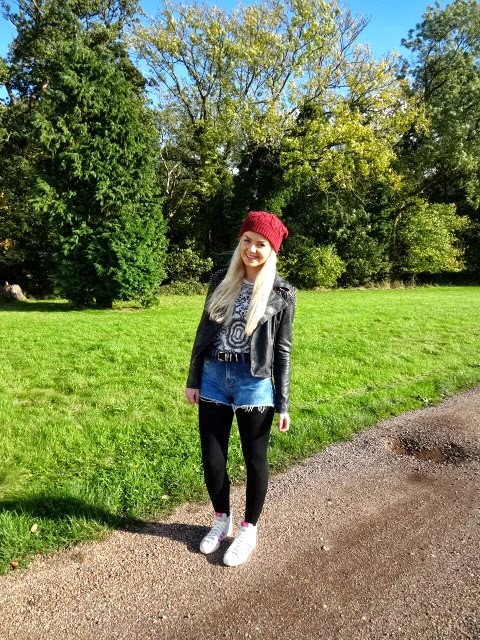 Then I just added a comfy patterned t-shirt, trainers and a bobble hat. Am I the only one fed up with jeans and leggings? Is there anything else I can put on my legs other than atrocious patterned trousers that make me look like a pirate?